NetDocuments, the leading cloud-based content management platform for law firms and corporate legal and compliance departments, has officially released ndThread, a social collaboration and matter-based messaging tool built within the NetDocuments cloud platform – now available to NetDocuments customers and prospects worldwide. The ndThread product comes to market less than six months after NetDocuments acquired the ThreadKM collaborative messaging technology. ndThread is available as a native cloud service embedded within the NetDocuments platform and accessible through the web, desktop and mobile applications. 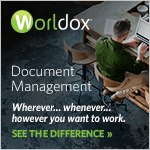 Available as an add-on feature to existing NetDocuments customers, ndThread provides a more complete electronic matter file by incorporating threaded conversations and document-level messaging within NetDocuments existing matter-centric workspaces and enterprise search engine. ndThread extends the value and depth of information contained in a matter and dramatically reduces the over-reliance and inefficiencies related to internal, email-based conversations. Prior to ndThread’s general availability, NetDocuments worked closely with a group of beta-tester customers to ensure usability, scalability and test the overall user experience. 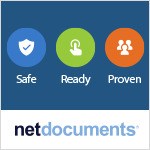 Several customers moving to NetDocuments have already signed up for ndThread as part of their upcoming rollouts. “After seeing ndThread in action, some of our attorneys have already asked us when they can start using it based on its practicality and what appears to be a very simple learning curve. I foresee ndThread not only becoming a popular technology at Bailey & Glasser but reaching high, almost viral-like user adoption across the legal market based on the principal of attraction—because it’s useful and helps me communicate better versus IT and marketing having to sell it and promote it to the user base,” concluded Pray.